I wasn’t feeling energetic this morning so my plans to run to BMF failed. I very nearly didn’t make it to BMF at all due to busy traffic (should have run after all). A tough class under a shining sun and I secretly pined for the rain and water fights from Monday! The only thing to report is the need to apologise for giving some poor unsuspecting passers-by in Hyde Park a shock when we had to remove our BMF bibs, run around the field and be the first team back with bibs back on. So whats wrong with that? Well… erm many of us on warm days remove our T-shirts under our bibs so it was a herd of BMFers racing towards them, wearing only our sports bras or stripped to the waist! One way to make us sprint! Note to self, black sports bras for BMF would be more understated than a bright red and blue one! 1 hour BMF class, at least 3 miles running. Categories: Juneathon, running | Tags: Juneathon | Permalink. bet you made their day!! Fabulous! I can just picture the scene. 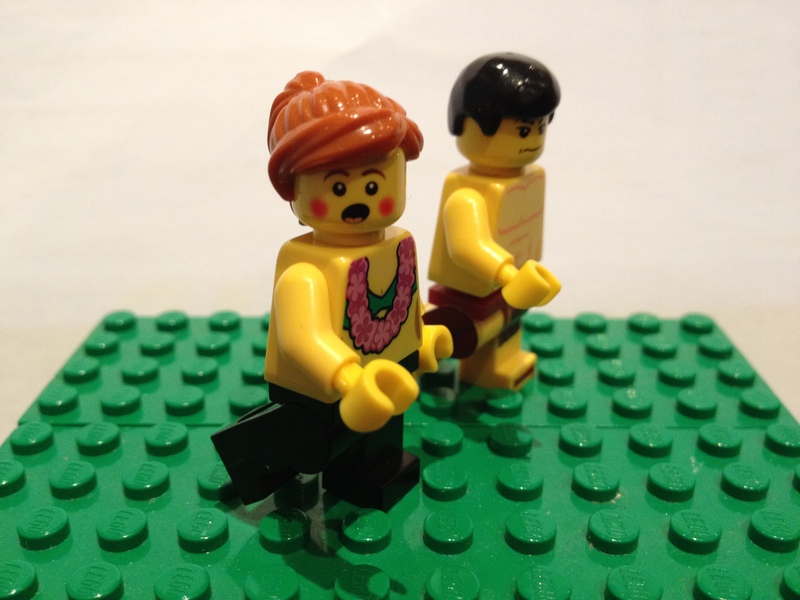 The lego pics make me giggle every time! Impressed at your efforts…that sounds like a lot of exercise considering you weren’t feeling energetic! I’m Lucy! Your version of not energetic and my version of not energetic are radically different. BMF sounds like great fun! Oh this blog really made me chuckle! I bet they loved it!